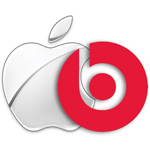 According to the Financial Times, Apple is closing in on an acquisition of Beats, the headphone manufacturer turned streaming music service. The $3.2 billion deal would give Apple control over a powerful brand, but at the same time, it would be puzzling and uncharacteristic of Apple. The FT points out it would be Apple’s biggest acquisition ever. Apple’s digital music juggernaut has been slowing down recently, and the company is rumored to be weighing an on-demand streaming music service. In that sense, the deal would make sense. But the acquisition would also give Cupertino control over an empire built on plastic headphones, which conceptually, doesn’t seem to meld with Apple’s elegant glass and aluminum aesthetic. The deal could reportedly close as early as next week. Read the full story at Gizmodo, and the original report at the Financial Times (subscription required).